« Old El Paso Refried Beans Just $0.50 At Dollar Tree! Potatoes are a favorite vegetable side dish in many households. But, sometimes we get in a rut of the serving them as fried, mashed or baked. 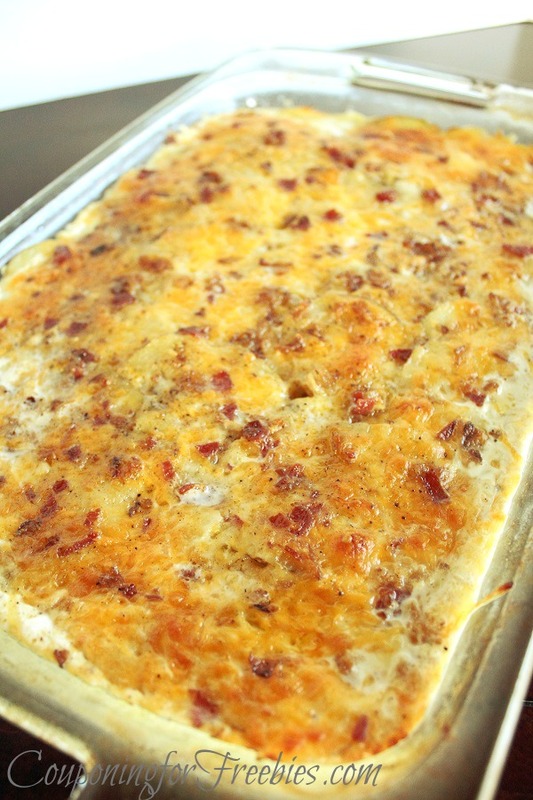 Well, we have a recipe for Loaded Potato Casserole that will wake up your taste buds! 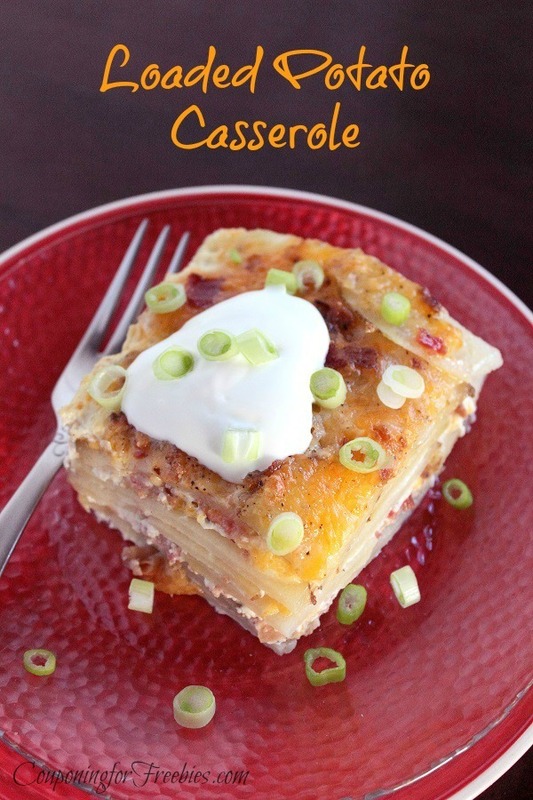 It’s like a loaded baked potato, only much yummier and in casserole form! It’s also an easy recipe that requires very little prep time and cooks itself in the oven. Don’t be surprised when your family asks for seconds! 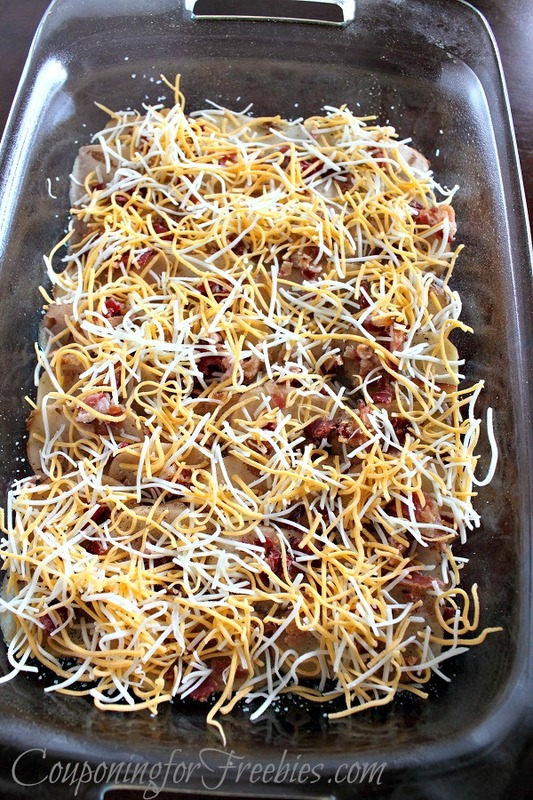 You will need a nice 13 x 9 baking dish to make this recipe. 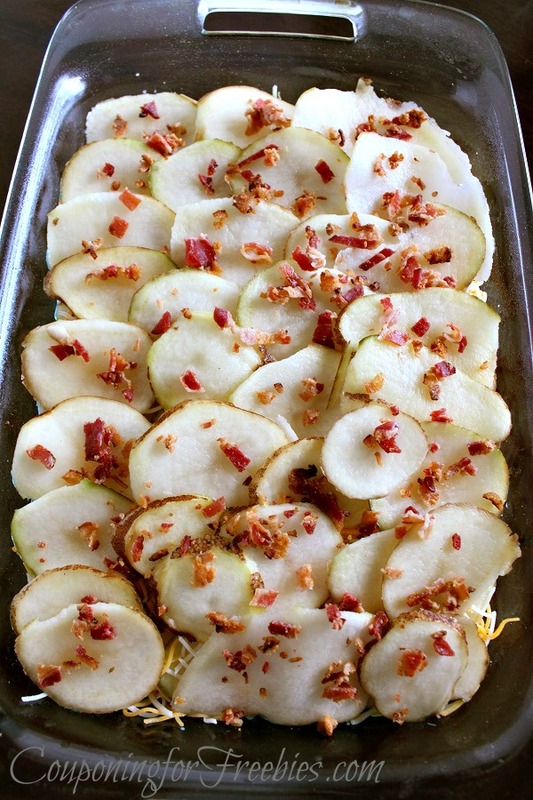 In a greased 13×9 inch baking dish place a layer of slightly overlapping Potato slices. Sprinkle ¼ of the Bacon evenly over the Potatoes. Sprinkle ¼ of the Cheese over the Bacon. Repeat for 3 more layers. In a medium bowl whisk together the Milk and Eggs. Slowly whisk in the melted Butter. Pour the Milk mixture over the potatoes so they are all covered. Cover with foil and bake at 375˚ for 60 minutes. Remove the foil and bake until the cheese is starting to brown around the edges, about 25 minutes. If you don’t like the cheese browned leave the foil on longer or for the entire time if you wish. Remove and let stand at least 10 minutes. 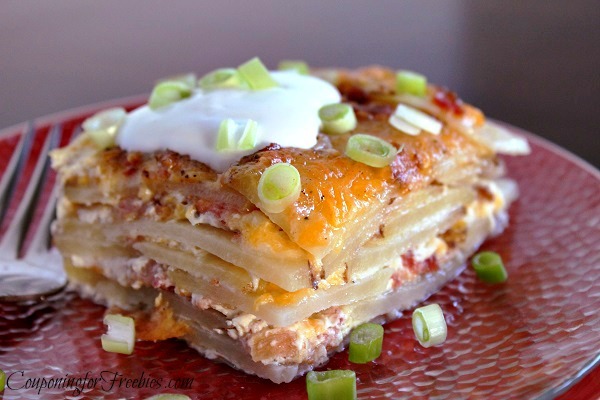 Cut into squares and serve hot with Sour Cream and Green Onions. If you liked this recipe be sure to check out some of my other recipes here.